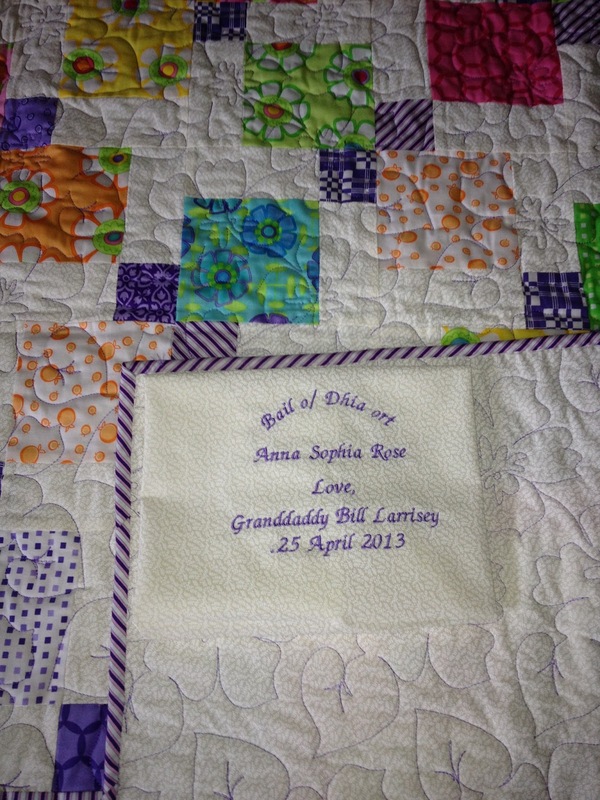 A Quilt for Megan's Wedding Shower ...There is nothing more rewarding than creating that something special for your daughter. 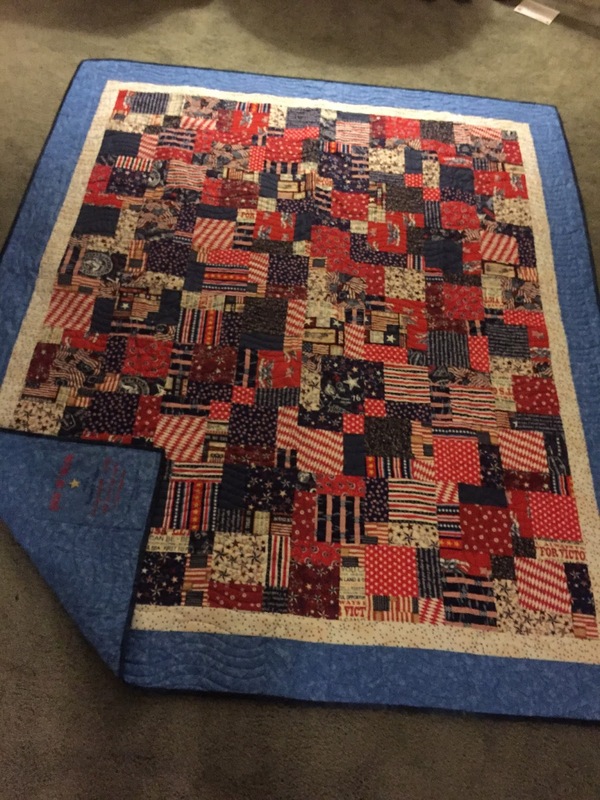 This quilt pattern by Jane Miller was one of my most challenging projects. This quilt was made for my daughter Megan's Bridal Shower. Having a Fall wedding I was looking for colors that were reflective of the season. Congratulations Megan & Todd! This Mary Englebright Quilt, pieced by Marianne was indeed one of the most fun quilts I have had the privilege of quilting. Every quilt is a work of art and this quilt was no exception, What a wonderfully beautiful pallet of color. Great job Marianne and I hope Lisa enjoys her new treasure! I am always energized when I find someone who is relatively new to this wonderful craft. 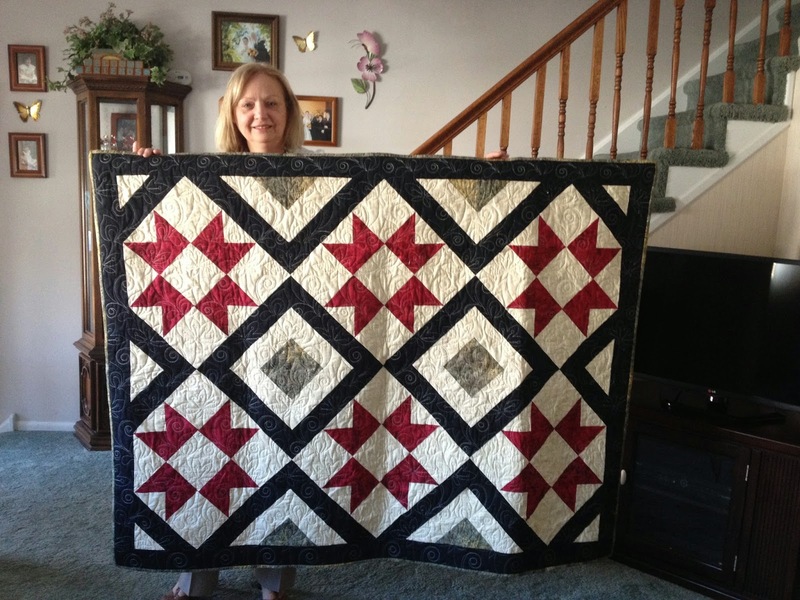 This is Sharon's first large quilt ad I am so grateful that she chose me to complete the final phase of quilting. I just love the colors,plus the pattern was a wonderful choice. 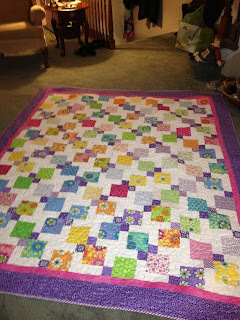 I quilted with Patricia Ritter's panto of "Violets are Blue" http://www.urbanelementz.com/ Great job Sharon! 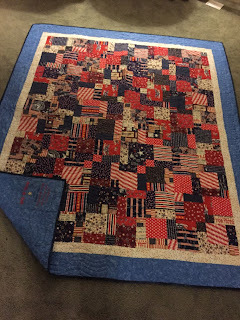 Here is a wonderful place to meet and blog with other Quilters! 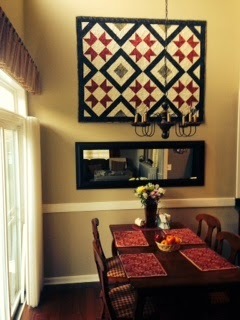 This beautiful wall hanging was pieced and by customer Pat with imported silks from Japan. 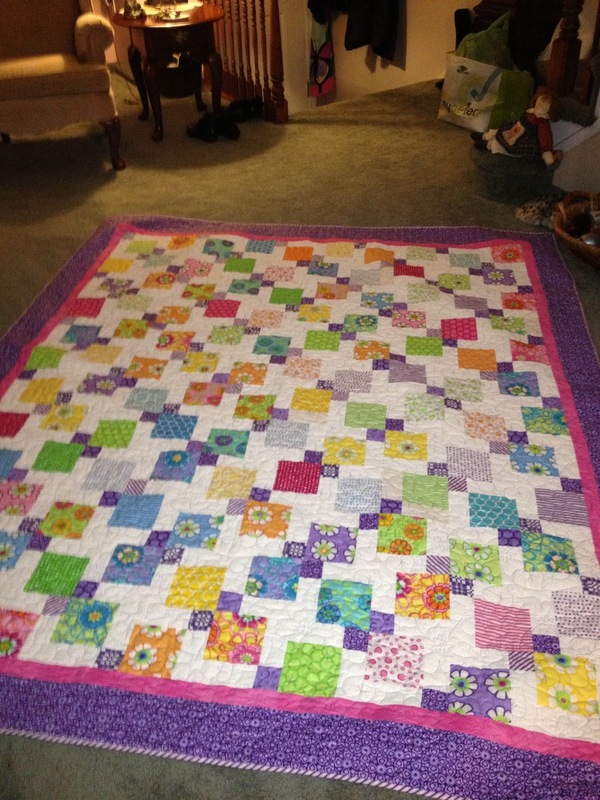 I used Superior Rainbow Thread for the quilting and a special pantograph to enhance its color and beauty.